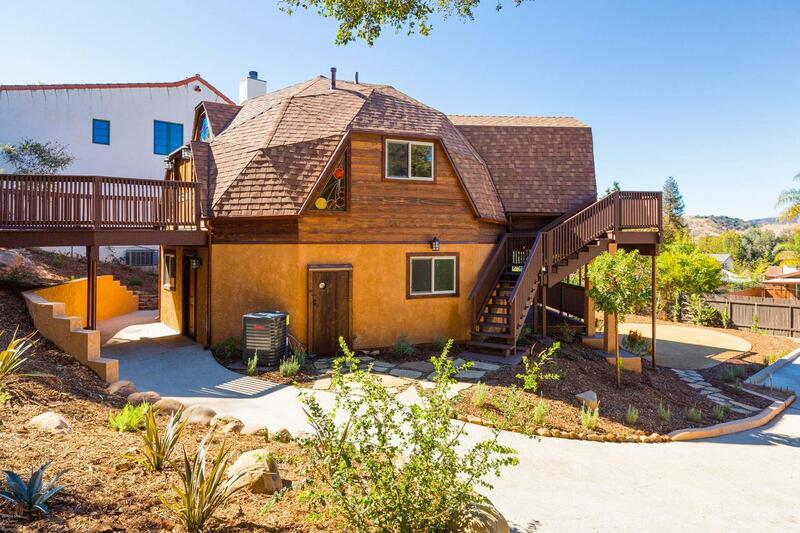 Oak View Geodesic Dome Home on 2 legal lots. 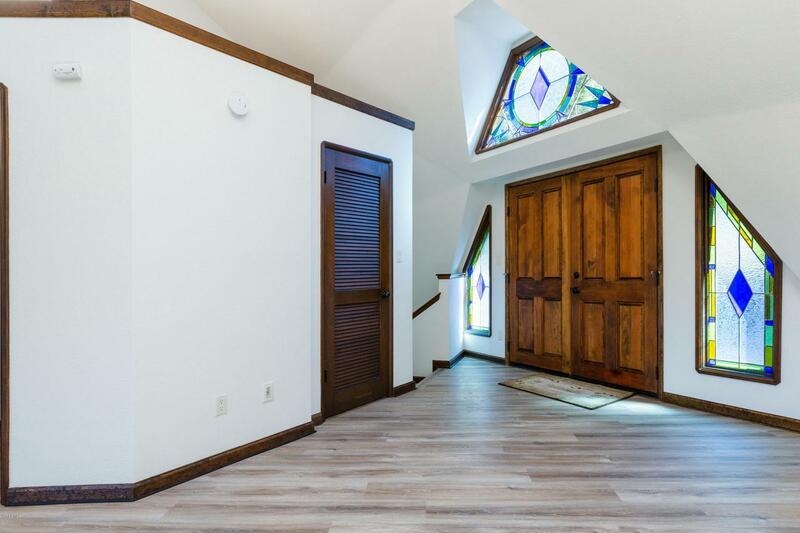 This unique & beautiful home has been completely renovated. Featuring 3 BR, 2 1/2 BA with approx. 1800 sq. ft. Enjoy views of the mountainside with an expansive viewing deck. 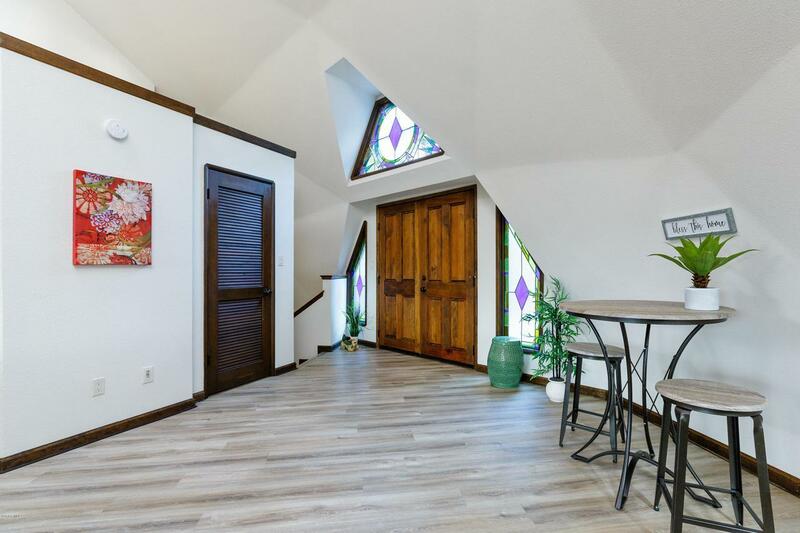 An updated kitchen & bathrooms, along with a fireplace, wood-like flooring on top floor, skylight & an added air conditioning, provides all the comfort to this unique and charming home. There is also a new roof. The double lot totals approx. 12,500 sq. ft. This gives you the potential to build a 2nd house or artist studio/guest house. Room to build a 4 car garage. Partially landscaped with drought-tolerant plants. 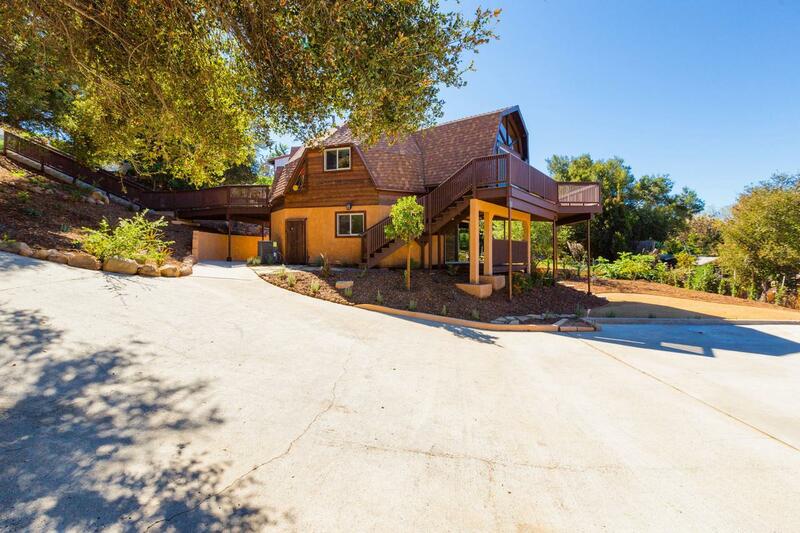 Come by to take a look at this charming and distinctive property!